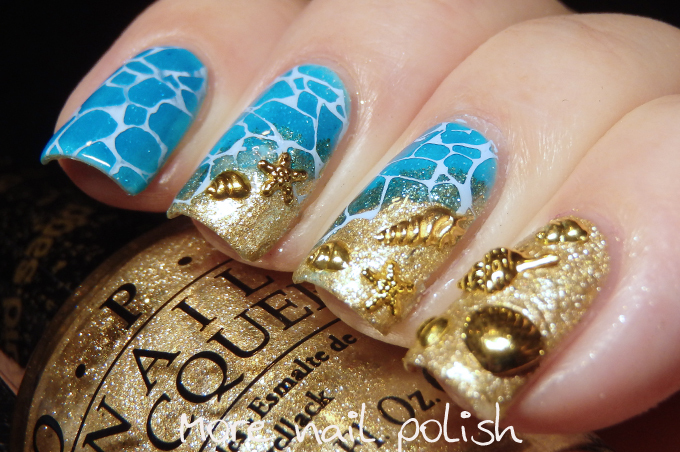 This weeks theme for the 40 great nail art ideas challenge is Summer, which is difficult when it's -4 celsius in the mornings or pouring with winter rain. But the up side is I'm going on a holiday next week with a cruise to New Caledonia where it will almost feel like summer with temperatures in the mid twenties. Which brings me to my summer mani. 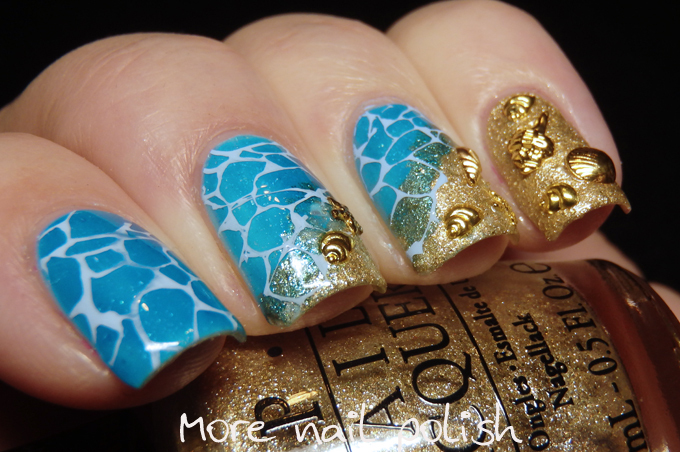 I've had these shell charms from the Born Pretty Store for ages, with the plan to do this exact mani. I'm so glad I finally got to do it, cause I totally love it. I started with a base of Picture Polish Salt Water (see what I did there) then then applied a little bit of OPI Liquid Sand Honey Ryder. 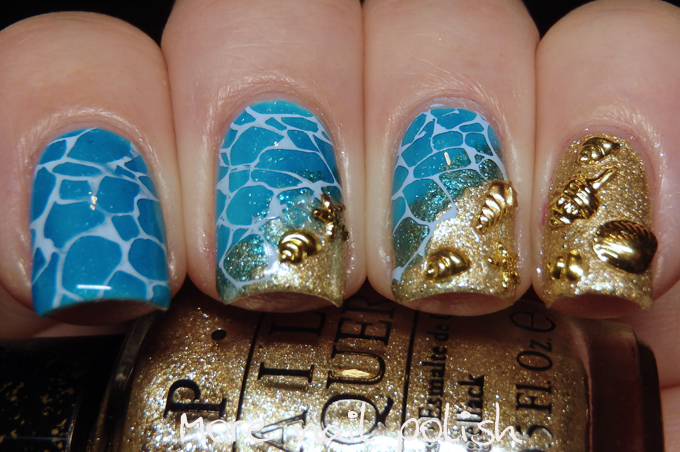 I then applied a coat or two of a sheer blue jelly polish I mixed up and made sure this went over the top of the gold polish just a little bit. 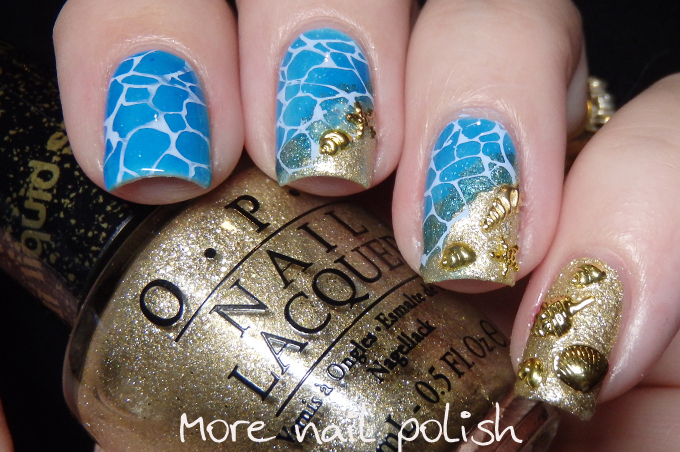 The stamping is from the DRK Magic Garden plate. Looks beautiful I love it! These look gorgeous - love the gold charms!